Shah recalled that his party remained clear right from the foundation of Jan Sangh to have zero-tolerance towards anti-national forces. 'We can't accept them', he averred. 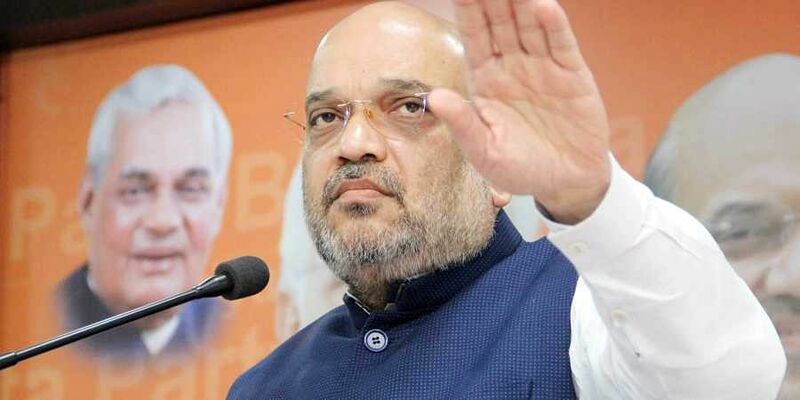 RAIPUR: BJP chief Amit Shah on Friday accused Congress party president Rahul Gandhi of "standing in support of infiltrators" said his party has zero tolerance towards anti-national forces as he exhorted the party workers in Chhattisgarh to dedicate themselves to ensure that the Modi-led government returns to power in 2019 Lok Sabha elections. "After forming the government again in 2019, not a single infiltrator will be allowed to stay in the country. Rahul Baba cares for the 40 lakh infiltrators (who didn't find a place in the National Register of Citizens) who are snatching away food, education, employment and other rights of our people,” Shah asserted while addressing the cadres of Shakti Kendra formed to work at booth level of the party during the elections. "Rahul Baba speaks about the human rights of infiltrators but can't speak about the rights of those who suffer owing to the illegal immigrants. He should think about the human rights of youths of country rather than of the infiltrators", Shah said. While appreciating the success of Raman Singh government on the Maoist front, Shah raked-up the issue of "urban Naxals who were recently arrested" by the BJP government in Maharashtra. "Shouldn't those conspiring to assassinate the prime minister be arrested?" he asked while further targeting Rahul. Shah recalled that his party remained clear right from the foundation of Jan Sangh to have zero-tolerance towards anti-national forces. "We can't accept them", he averred. Shah urged party workers to take a resolution to uproot the opposition Congress in the state by bringing 65 out of 90 seats and register a thumping victory for the BJP in the upcoming Assembly elections. "In BJP it's the party cadres that fight the polls and owing to the endeavour by the party worker today there are 330 BJP MPs and the party is in power in 19 states", he said. "I have heard Rahul Baba's speech where he claimed a victory of Congress in Chhattisgarh, Madhya Pradesh and Rajasthan. One can understand dreaming in sleep but he dreams in the day", Shah said deriding Rahul and further added that the BJP aims to accomplish the dream of the country and the people into reality. He recollected that when Jan Sangh was formed it has just 10 members but today it having the participation of around 12 crore active members. "The BJP's saffron flag is fluttering with pride in 70 per cent area of the country", he said while citing the Shakti Kendra workers as "Malik" (owner) of the party who led to the victory of the party in elections.